San Souci. Ocean breezes, crisp summer air and white sandy beaches. All this and more on your door step so what’s holding you back? If the answer is back pain then you need Sydney Wide Chiropractic to give you a new lease on life. If you’ve been feeling the effects of a busy and stressful life then it’s time you turned to the premium chiropractor in San Souci. Chiropractic adjustments don’t need to be expensive or invasive to be successful, in fact here at Sydney Wide Chiropractic we focus on a cost effective and most importantly safe treatment program that is tailored to the individual needs of your body. Our team of experienced, accredited and professional chiropractors are able to help the problems that are causing your unwanted back and neck pain. Regardless of your symptoms, from lower back stiffness to muscle tension, pinched nerves to headaches we have the resolutions to your problems. 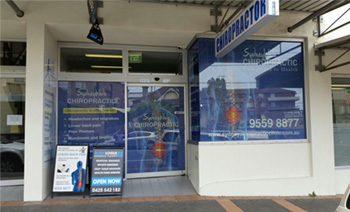 On the back of 11 years as the leading chiropractor in San Souci our university trained and clinically experienced staff use safe, natural and effective treatment that doesn’t simply treat the symptoms, it gets right down to the core issue of your pain and resolves it to leave you with the best and brightest version of you possible. We understand that your health is your greatest asset and that’s why we encourage you to contact us today and get started on a better and healthier lifestyle. The simple fact is that many of the injuries we treat can be prevented before they even occur. Regular chiropractic visits can help you gain the skills and the knowledge to prevent physical problems from building up, keeping you in control of your own health. Ultimately, the effective and ongoing chiropractic care we provide will increase your flexibility and mobility, raise your levels of energy, improve your posture and overall increase your sense of well-being. So if you’re ready to wake up to a whole new world of health and vitality then contact us today on (02) 9529 4008 or email us at info@sydneychiropracticclinic.com.au and organise your treatment today.